The Conservation Cotton Initiative in northern Uganda has helped Francis Obwana recover from a decades-long civil war and build a new house for his family. 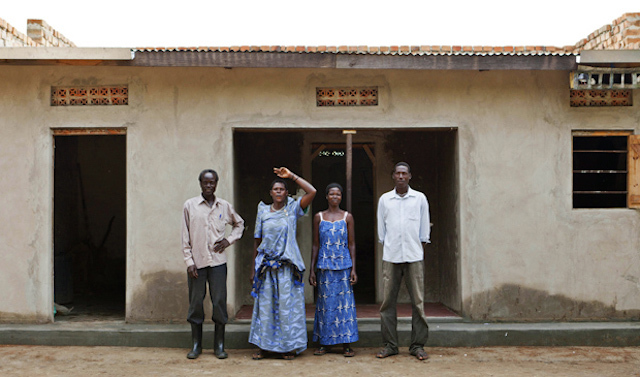 Francis Obwana (left) stands with his wife and children in front of his new home, built with profits from cotton farming. Francis, chairman of the Kidere Growers Cooperative Society, is one of thousands of farmers in northern Uganda who are benefiting from the Conservation Cotton Initiative. Through the program, supported by global fashion company Edun, TechnoServe is helping smallholder farmers to improve their incomes and recover from a destructive conflict. 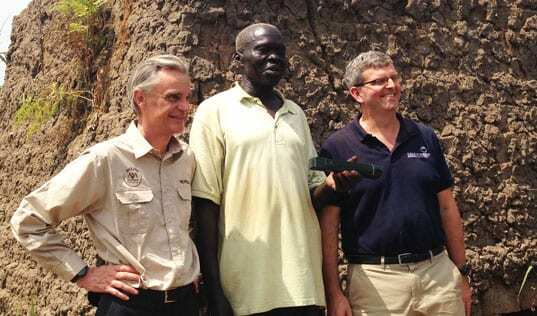 For two decades, the Lord’s Resistance Army terrorized the people of northern Uganda. Francis and hundreds of thousands of others were forced from their homes and into government-run camps, where disease, hunger and violence were rampant. Francis and his family returned to their land in 2007, still traumatized by their experience but determined to reestablish their livelihoods. 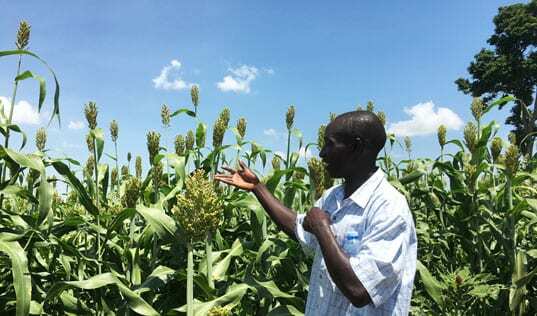 In 2011, Francis and his family began working with TechnoServe, which helped train them in business and production skills, such as planting seeds in a straight line, spacing them correctly and weeding their crops. 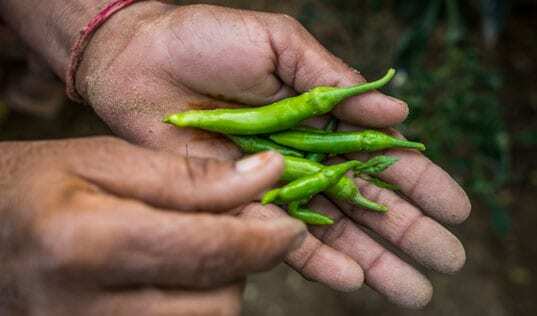 TechnoServe also connected them with a local buyer, as well as supplies of inputs such as seeds and pesticides. This support has helped Francis both increase his income from cotton and produce more food crops such as corn, beans, groundnuts and cassava. He uses his profits from cotton to pay school fees for his six children in primary school and two in secondary school. “We want to remain cotton farmers for life,” Francis says. Learn more about the Conservation Cotton Initiative.